Massage is the manipulation of superficial and deeper layers of muscle and connective tissue to enhance function, aid in the healing process, and promote relaxation and well-being. Structural integration’s aim is to unwind the strained patterns residing in the body’s myofascial system, restoring it to its natural balance, alignment, length, and ease. This is accomplished by deep, slow, fascial and myofascial manipulation, coupled with movement re-education. Target tissues may include muscles, tendons, ligaments, fascia, skin, joints, or other connective tissue, as well as lymphatic vessels, or organs of the gastrointestinal system. Massage can be applied with the hands, fingers, elbows, knees, forearm, and feet. 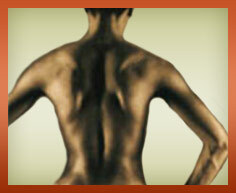 There are over eighty different recognized massage modalities. The most cited reasons for introducing massage as therapy have been client demand and perceived clinical effectiveness. Organizing your body one muscle at a time. Copyright © Kerra Ryan 2010. All Rights Reserved.